As many of you know, Tropical Storm Nate hit Nicaragua and other parts of Central America on Thursday, and then continued its path towards the United States. 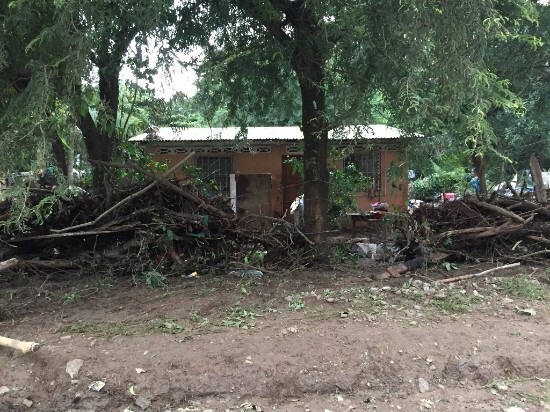 Here in Granada we experienced very heavy rains and high winds, with trees and power lines falling down. Thank goodness we ourselves were not in the hardest hit area, but we got a good scare with the winds for sure! However, many areas within a couple of hours of our home experienced severe flooding and significant damage to an already frail infrastructure. 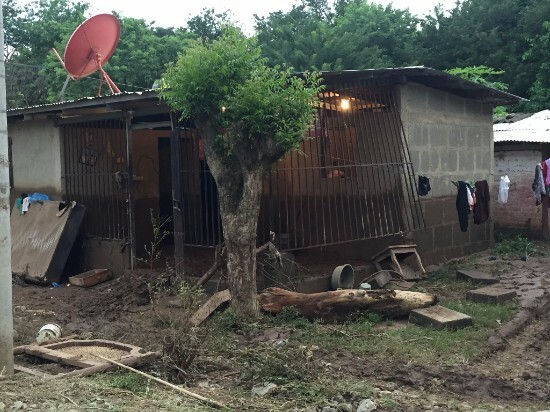 In Nicaragua, 16 people have been confirmed dead from the storm. We would like to thank YOU for your support of our missionary efforts. 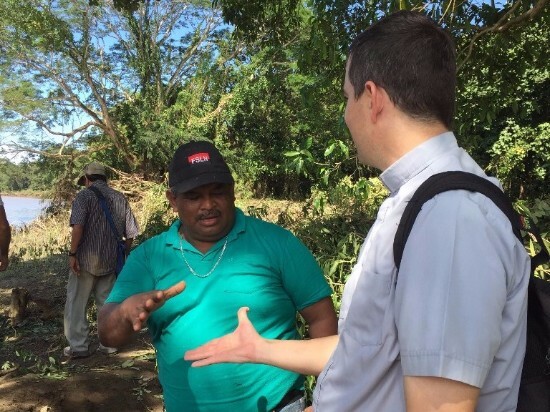 Because of YOU, we had resources available to help with immediate aid to the hardest hit areas. The morning after the storm, we were loading trucks and providing emergency relief supplies to victims staying in shelters. 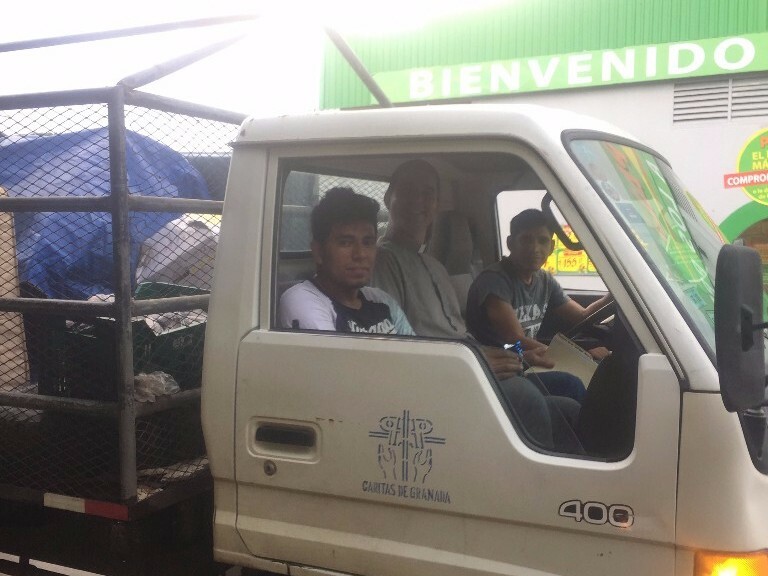 In the photo above, Ben and one of the local seminarians, Luis, hoist a donated mattress into the transport truck. 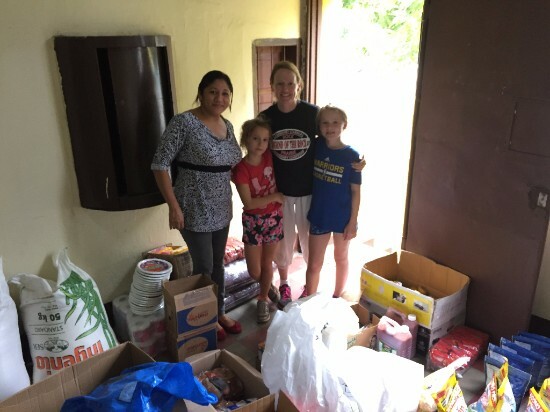 Here, Rachel and Rebecca, along with Katy and Alicia, sort and pack food, personal hygiene items and dry clothing for the victims. 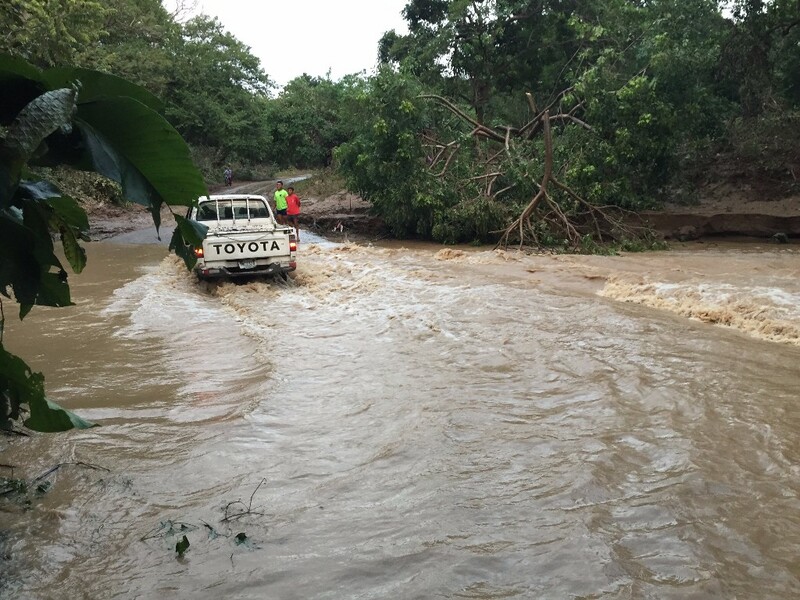 By the afternoon, we were loaded up and on our way to Pica Pica, a community near the Ochomogo River, where several people were swept away in the high water. When we arrived, the church in Pica Pica had already been converted into a shelter. The people were overjoyed to see the supplies arrive, especially the cooks, who worked so hard to prepare hot, fresh food for the flood victims. 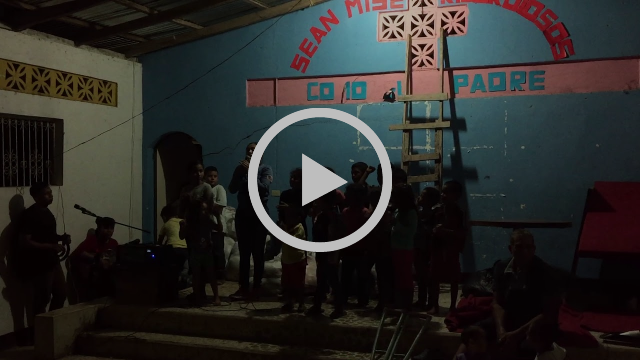 Amidst the struggles of the disaster, the people of Pica Pica paused and came together in community, praising the Lord through song. As they sang, I could not help but think of their steadfast faith and the words of Job 1:21, "The Lord gave, and the Lord has taken away; blessed be the name of the Lord.” Click on the brief video clip above to hear them sing, you may even recognize the tune! 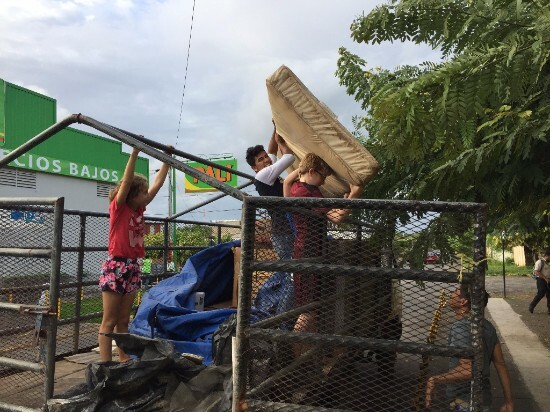 On Saturday morning, we got an early start and headed to Cardenas (near the Costa Rican Border) with more relief supplies. 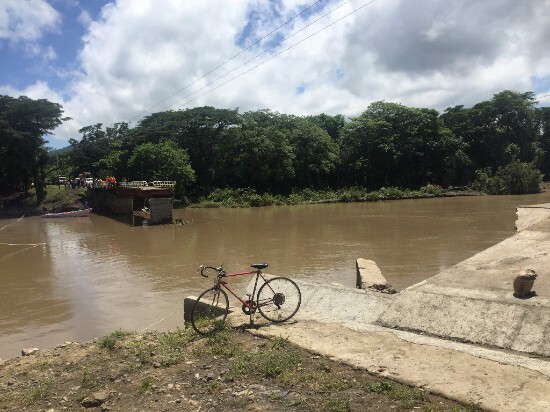 Reports were that Cardenas had experienced severe flooding, and that there was a problem with the only bridge into this town on the southwestern shore of Lake Nicaragua. All cell phone and landline communications had also been knocked out, so we could not contact the church there. When we arrived, we realized how extreme the reported problem with the bridge was. As you can see in the photo, the Sapoa river had risen so high that the majority of the bridge had been swept away. Pat made friends with the mayor who sent a small "panga" boat to help get the food and supplies across the river. Then, on the other side, we loaded up the supplies again, and got a ride in the mayor&apos;s truck into town. Above, Pat shakes hands with his new favorite Sandinista mayor! 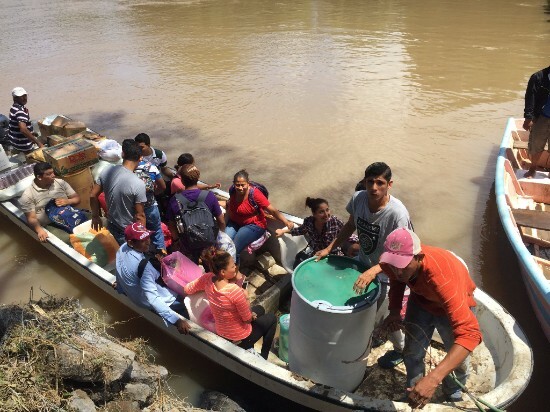 Once we got back across the river from Cardenas, we received a call from another pastor from a church in a very impoverished community near the Pacific coast, called Las Salinas. Access to the community had been cut off by high water and downed trees, but the pastor felt the water had gone down enough such that we could safely pass the crossing. 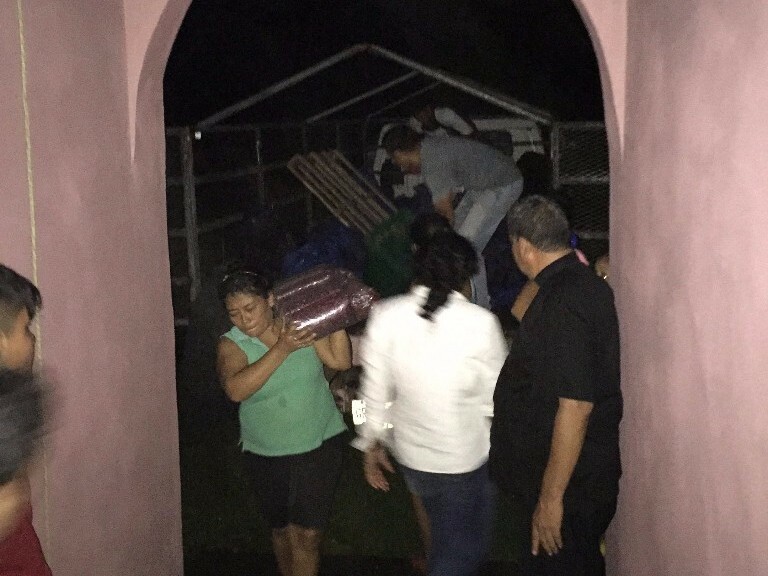 He was providing shelter to about 50 people in the church, but didn&apos;t have food for them. We made another run for provisions and were able to get across into Las Salinas. As you can see from the water marks, the houses had taken on quite a bit of water and mud, but the residents and pastor were so appreciative that help had arrived! Once again, we would like to send our deepest thanks to all of you back home. In a place where resources are scarce, your support allowed us to immediately bring help and God&apos;s love to those in crisis. 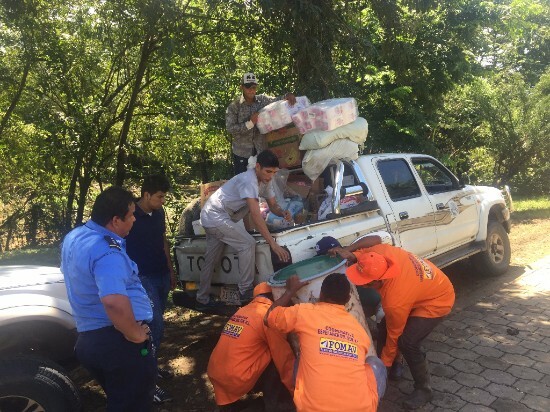 In many of the communities hardest hit, your aid was among the first to arrive. 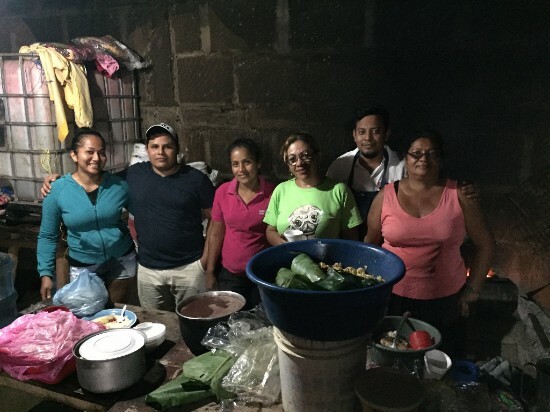 Thank you for making a difference to your brothers and sisters here in Nicaragua. They thank you as well and join us in praying for you, and especially all the rest that have recently been impacted by Harvey, Irma and Nate.